+ Build your networking and communications skills. + Learn how to work with community leaders and affect change. + Be supported by the LETS team. + Gain confidence and empowerment over your own health and fertility choices. + Become a leader and a mentor to communities that need your help. + No previous teaching experience necessary. We will train and support you to make an impact. We know that millions of children are being born into families that can’t support them because their parents don’t have empowerment over their own fertility. These children have few rights and often fall victim to poverty, abuse, trafficking and/or sexual slavery. We believe that all people need to know the basics of how their minds and bodies work so that they can make empowered choices that to make their lives better. We know that there are millions of people that don’t have access to basic information and this needs to change. We are looking for people who want to join with us to teach this basic information to impact the lives of the many who need it. The consequences of the training are massive and can even be taught by parents to children in the home. It doesn’t matter where you’re from or where you are in life, if you have a passion for changing the world this is one proven way to do it. What is the Lets Training Program? 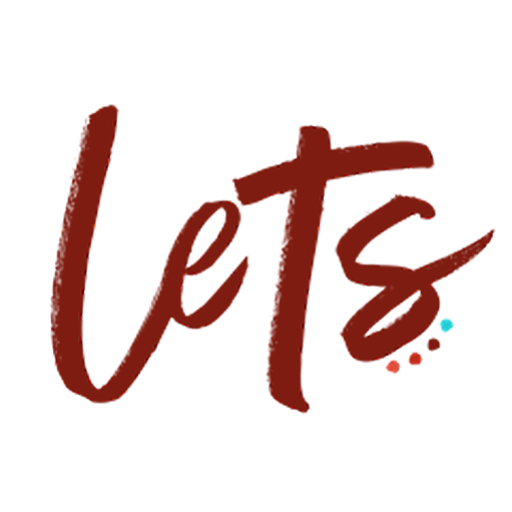 The LETS Training Program delivers face-to-face fertility and health training to empower people’s life choices. Along with the educational material, it introduces a bracelet that can be worn by women (and their partners) to understand how their body’s work and to track their cycles, particularly the times they are most likely to conceive. Both the research and our experience has shown that when people receive simple and focused training on the basics of fertility, health and wellbeing they are confident and can make more informed decisions about having children and caring for themselves in everyday life. As a result their lives and communities change for the better! It’s not just about the classes. We are focused on implementing a more holistic and sustainable way of enabling choice and empowerment. Instructors often revisit a community for question and answer sessions and personal clinics. If it’s not possible for instructors to visit communities repeatedly, they are taught about how they can gift the training and the materials to communities and empower local instructors and/or translators to teach the materials to members of the community over time. What is involved in the Instructor Training? Full online training and support so that you can teach our specific fertility and health lessons to communities in need. Access to training materials such as our bright and effective physical flipchart or Keynote or PowerPoint slides and supporting instructor notes so that you can conduct the training. Continued access to support from LETS to answer any questions you might have including a dedicated Facebook group and further online team training and collaboration. Full access to substantial discounts on the LETS tools including the LETS Lunar Essential Tracker bracelet, doTERRA essential oils, skinny coconut oil and the Pink Luminous Light. The program can be delivered in developed and developing countries and involves the use of a flipchart, Keynote or PowerPoint presentation along with supporting tools and materials. As the content is simple and straightforward it can be adapted to any culture and delivered by you or in partnership with a translator. The instructor training will release in Spring of 2019. New students can sign up at anytime. Students who pass the quiz at the end of the training will be certified to teach. The quiz will cover modules 1-5 of the training. The cost for the online training will be 450 dollars US per student. Students will also be able to purchase the physical flipchart when they obtain their certification and any of the other tools that can be used with students and communities. Kristin Van Wey is a passionate humanitarian, leader, educator, speaker, trainer and loving mom. She’s the CEO and Founder of the LETS Empower Initiative, Wellness Director in partnership with The Renand Foundation in Haiti and a doTERRA Blue Diamond Wellness Advocate. Kristin has spent over 29 years in the health industry researching and formulating innovative approaches to wellbeing and her humanitarian efforts have brought hope and empowerment to communities in crisis. She’s dedicated to partnering with others to serve communities globally and is passionate about health and fertility and trauma management. She trains professionals and communities globally on these topics. She has also cultivated a large and very successful doTERRA essential oils and natural health team. Kristin has established a culture of exceptional education and empowerment for her team members and the people and communities they are dedicated to serving. Register now for the LETS training program! Our work in Haiti – a powerful case study. The key to altering the trends. key issues and supports better futures for students. How to introduce the program. How to teach the Fertility Essentials training – a step-by-step guide. How to present with confidence. How to prepare and work with translators. Why it’s important to have and use preventive health measures. Why the international travel protocol works. Step-by-step breakdown of the international travel protocol.